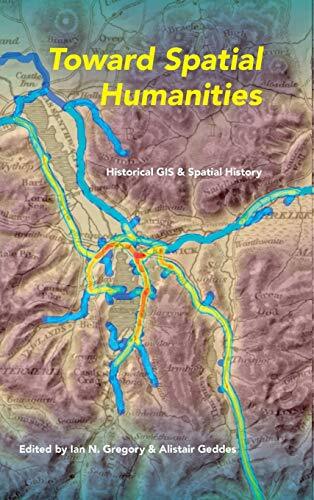 [PDF] Toward Spatial Humanities: Historical GIS and Spatial History (The Spatial Humanities) | Free eBooks Download - EBOOKEE! Description: The application of Geographic Information Systems (GIS) to issues in history is among the most exciting developments in both digital and spatial humanities. Describing a wide variety of applications, the essays in this volume highlight the methodological and substantive implications of a spatial approach to history. They illustrate how the use of GIS is changing our understanding of the geographies of the past and has become the basis for new ways to study history. Contributors focus on current developments in the use of historical sources and explore the insights gained by applying GIS to develop historiography. Toward Spatial Humanities is a compelling demonstration of how GIS can contribute to our historical understanding. No comments for "[PDF] Toward Spatial Humanities: Historical GIS and Spatial History (The Spatial Humanities)".